Since adding Hall of Fame trainer Emanuel Steward to his corner, analysts in the boxing world began talking about his improvements, sighting changes in Miguel Cotto's style thanks to the work of his new trainer. In my opinion, however, it was easy for Miguel to make the necessary changes because he's been doing it his entire career as he's evolved as a profession. In his amateur day, where output was the primary objective, Miguel used to utilize a high stance and a lot of foot movement. Attacking the body was not an option, instead focusing on great lateral movement and incredible speed to land combinations. 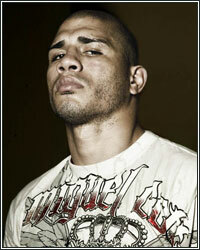 It was when Cotto first became a pro when we first noticed some changes in his style. He began to throw more to the body and showed less footwork in the ring. He had great defense and still showed great combinations, but at the time, his speed was more impressive than his power. A car accident would further take some of the power out of his right hand and he would continue to have some problems with it in the future. Eventually, Cotto would face Cesar Bazan, a former champion with a great chin and power who proved to be more than a stepping stone. Cotto needed all of his boxing skills to keep his distance from Bazan, while at the same time doing heavy damage en route to a dominating 11th round TKO. The boxing world took notice, and perhaps Cotto did too, as he began to think of himself more as a power puncher than a boxer. During his journey to a championship, and shortly thereafter, Cotto continued to utilize the same type of style he did against Bazan, but his right hand became less and less of a factor. He also had problems with his weight as he body continued to grow, showing vulnerability in tough fights as he continued to drain himself to make the 140-pound weight limit. The fact that he now saw himself as a destructive knockout artist didn't help the cause as, a lot of times, he would forget to use the great defense he exhibited early in his career. Furthermore, although Miguel was still beating opponents with power and speed, he was also becoming a one-handed fighter, making more and more use of his left hand to compensate for the right hand he injured in the car accident. His lack of defense caused him to get severely hurt at times, and his very active career allowed for punishment to accumulate as he fought nearly every 4 months. It was almost a catch 22 as Cotto looked strong and powerful, but at the same time, he was vulnerable, easy to hit, and suffered a lot of cuts. Ultimately, it would culminate with a beating at the hands, or should I say handwraps, of Antonio Margairto, a fight that, ironically, would see Cotto utilize a lot of the footwork and boxing skills he displayed in the beginning of his career. Afterwards, a fight with Pacquiao at a catchweight seemed to take the last fight out of Cotto and many assumed his career was heading to an end. After adding Steward, however, Cotto has looked like a revived fighter, demonstrating that a change in styles has been a change in his favor as he's now reverted back to what he did best early in his career. He's smarter and more cautious, taking less punishment in the process as he's gone back to using his speed and combinations. He had shoulder surgery and gave his body proper time to rest and recuperate, and he now looks more fit and stronger than before. In short, he's gone back to being a more intelligent fighter, using great defense and short, accurate punches. It should be interesting to see what the more mature Miguel Cotto brings to the table in his rematch with Antonio Margarito this December.